Imagine a medieval-style city, besieged by enemy army. It might be big and have wide river preventing besiegers from direct attack on the walls and launching projectiles significantly far into the city. Besiegers want to use hot air baloons to drop burning projectiles and biological weapons in form of infected meat etc. as well as drop some attackers during nighttime to open the gates of the city. Is it possible for hot air baloons to perform such missions? I pondered this scenario in 2009 and posted the same idea. The excellent comment by Bunsen Honeydew points out that the tethered balloon scheme has more advantages when carried out by the defenders within the city as opposed to those outside laying siege. Consider: the besieged are at the center, and the besieging are at the circumference of a(n idealised) circle. The balloon is anchored in the city, and the anchor point is surrounded by all the infrastructure to support it - furnaces with hot air/gas hoses, ammunition supplies, bucket brigades, pipework, extra fuel, spare parts, winches, windlasses, mules, encamped technicians, support staff for the support staff, ancilliary cooks, batmen and wenches, and so forth. Should the balloon need to replenish itself of any vital supplies, it can be winched back in to the center. Now consider a change in the winds: the balloon changes tack, but is still (given a few moments of belaying or withdrawing the tether) hovered above the enemy. In the inverse case, where the circumferential siege-layers are attacking the central hold-fasts, a change of wind immediately places the weapons platform off-target. In order to reaquire the target, the anchor point - and all the associated infrastructure - must be moved a great distance across the landscape around the circumference, or one must wait until the wind is once more in one's favour. Insert a river, a forest or other obstacle anywhere about the city and the case for the attacking forces becomes particularly dire. I hold, then, sir/madam or other, that this system is inherently defensive, rather than offensive, in the siege situation. 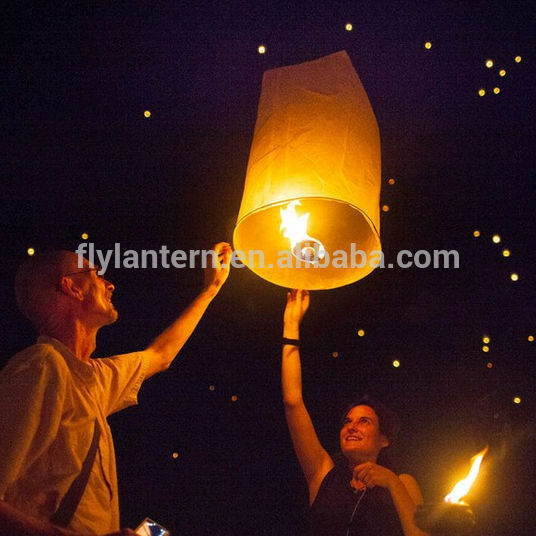 Re size of balloon / @pluckedkiwi skepticism - consider sky lanterns as a smallish example. You could tether a large one of these with a kite string. You could have a pull thread that dumps the fire payload when in position. After the dump you could probably reel in the lantern before it sinks. The balloon will not carry a cannonball. But a wad of flaming grease is more than enough to start a fire if it lands in the right place. My initial thoughts are that hot air balloons would be very vulnerable to projectile weapons like cannons and arrows. As these balloons would be primitive, I am not sure how high they could fly or how well they could be maneuver over the target. Another issue is payload capacity. Most of the balloon's floor would be used to burn something in order to create hot gas, that will lift the balloon into the air. Some more space will be occupied by the pilot and perhaps the bombardier. There is a good chance that anything that was on fire and dropped from a great height, would extinguish itself before it stuck the target on the ground. That is assuming that objects could be reliably targeted to begin with. These biological agents would probably have just as much chance to infect the pilots as the targets on the ground. In order to drop of troops, said balloon would have to either land or fly super close to the ground. The light generated by the fire would give away the balloons presence. I think a trebuchet could accomplish most of want you want to do, with out having to actually leave the ground. We have plenty of questions here recently "could a medieval or classical or renaissance civilization X do Y?" The usual answer is "to do it properly, it wouldn't be medieval or classical or renaissance any more." A lone genius or well-informed time traveler trying to do things would run into the limitations of local industry and materials science and try to overcome them. In the process, the civilization would be selectively upgraded. After this general answer, on to the specific question. Making such a balloon with medieval technology will reduce the already low payload further since paper won't be the same uniform thickness (or rather, thinness). On the plus side, the candle can double as an incendiary. Problem, the balloon will go down only after the flame is out. That might be helped if the glue comes apart in flight before burnout. To drop people, it would have to be roughly the size of the Montgolfier balloon and the landing site will be very visible, even at night. Summarized, they can probably get something into the air. It will go down sooner rather than later. Payload will be limited. It will take the effort of many engineers to drop a single soldier. With much later technology, but also with a greater range, Japan tried to balloon-bomb the United States in WWII. That did not work all that well, which is a sign that targeting will be just as problematic with lower technology. Consider unmanned, small, less expensive and numerous, balloon loaded with a paylod of burning oil and guided by tethers. The attacking balloon's position, even given long tether(s), is to a large extent at the mercy of the wind. If a defensive tather point(s) could be maintained between the attacking balloon and the "sensitive" parts of the city - ie walls/defenses somewhat outside the "main" city walls, defensive balloon could be guided near the attackers and the burning oil (with could also be its lift power source), could be poured into the attacker, destroying it. The agility of the smaller balloon would conceivably exceed the attacker's sufficiently to make attack by balloon difficult. If your bomber is appreciably higher than that (in case someone has some very strong bow) you're safe. Your bombing accuracy won't be very good, though. If the winds don't cooperate you'll have no choice but to land and haul the balloon around and try again. I don't see how there's a big advantage over simply using a trebuchet to fling the same sorts of things into the city. Zeppelins were used for bombing, so yes. Clearly it was found worthwhile. They stopped being used because of heavier than air flying machines. The big problem would be the material to make a big enough balloon - paper is out of the question, I saw a documentary on Da Vinci channel on creating a paper hot air balloon able to lift a man. In the end, the glue failed (by the way, the balloon was built into a former airship hangar, which is not quite medieval construction technique). The balloon was about 20m in diameter. European medieval cloth would have been too heavy (I think), so the solution would be silk (primed with some air-proofing substance). However, in Medieval Europe silk was extremely expensive, being at the end of a 5000km transport chain. The solution for "biological warfare" would be to move a mobile catapult (3-5 kg stone thrown) close enough to the castle in the dark, and shoot thingies by half-moon (or less) light. You'd need 6 hours to move it close enough to the walls - maybe on a raft - and a couple of hours to shoot it, then you could abandon it. The driving force of innovation is necessity. Siege forces already had an effective method of providing the defending city with all the nasties they could fit in a bucket: trebuchets. Why devise a new method for doing the exact same task? If someone did develop the siege hot air balloon, they would realize they take much longer to deliver the payload, need a return trip for the next payload & are vulnerable to the same city defenses as a traditional trebuchet (unless very high). After the idea was tested, it would be scrapped for more trebuchets. If I was building a medieval army and still intent on investing in research, I'd look for a way to make existing trebuchets more mobile to avoid return fire. But even then, the offensive trebuchets need only aim at an entire city, the defensive trebuchets are attempting to hit one of the opposing trebuchets, or swaths of troops. You're not going to produce anything like a modern hot-air balloon, but you don't need to. This doesn't need to sustain several hours of somewhat controlled flight without damage, just get up long enough to cross over the city. A tightly-woven silk envelop (yes this will be expensive) will contain the air well enough to cross over the city so long as there is some reasonable breeze, so you don't need a constant source of heat (which would be heavier than it is worth). They will be completely silent (aside from the noise of the payload hitting the ground/roofs) and only visible as a dark spot obscuring any stars (no onboard flame so completely invisible on an overcast night). Build something like a siege tower to conceal the chimney and obscures the large charcoal fire you are burning under it if you want some kind of subterfuge, else just build the scaffolding. Just as darkness falls, move the opening in the balloon envelope over the chimney (the fire should be roaring hot by now). It will fill with hot air, then you cinch the bottom and loose the tether. Keep the fires going all night and you could get a few off before it gets light enough for the enemy to see them coming. You save a lot of weight by not needing a basket with a pilot (that saves you 100+ kilos of weight which will make the balloon far more plausible), so rig up some time-release mechanism (slow-burning match most likely but water draining through a pinhole will work too). Getting the timing just right will be excruciatingly tricky because of the unknown windspeed, but the bigger the city the wider your margin of error can be. You're not going to hit a specific target, but the city as a whole should be manageable. A tricky bit is having a payload which will be effective in small quantities. A flea-ridden plague rat would be perfect, but how you would get one of those without your own army being stricken is another matter. Incendiaries would be good if you can figure out how to make them well. When the balloon is crossing over the city, the timed-fuse burns out and releases the payload. Drop a rat (goes splat, you don't care, the fleas will survive and spread), or drop a string of hot coals at different times (most reliable given unreliable releases) in the hopes that one will fall into something flammable or even leave a string of fires. Though the balloon will be cooling and falling, releasing the weight of the payload should give it a nice boost to altitude to see it get over the city and out into the fields on the other side of retrieval by morning. If they are lucky, nobody in the city noticed the balloon at all, but the plague will soon spread. If not lucky, the wind is too slow and the balloon doesn't make it all the way over, or worse yet the wind changes direction completely and blows it in a different direction. The Japanese attacked the U.S. with this concept during WWII. They used the prevailing ocean winds to blow over some balloons with bombs attached to them. The mechanism was timer based. So very hit and miss. Balloons were used for recon during the American Civil War, and that wasn't the first application. France used them as far back as the 1790s. While the early 1800s are hardly medieval, the technology and manufacturing of that time is still very primitive by comparison to today. If your army in question is the first to use this technology, it doesn't really matter if the enemy sees the balloon coming or not, as long as doesn't drop low enough to fall into projectile range. From there, it seems like it should be possible to drop something small but very hot, like Greek fire or burning phosphorous, which would be devastating in a town constructed of primarily flammable material. On the other hand, if this had been effective, I suppose either of the real-world armies listed above would have done it. How to prevent allies from acting in an organized manner?